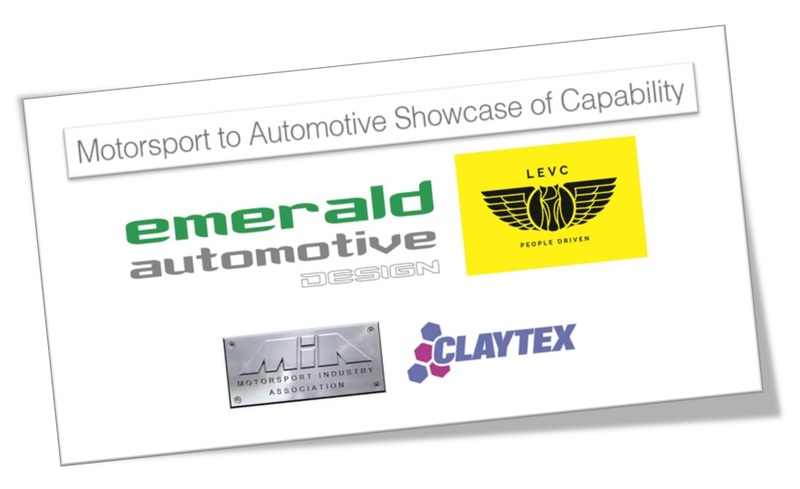 Claytex will be exhibiting at the MIA’s (Motorsport Industry Association) Motorsport to Automotive Showcase of Capability event at Emerald Automotive Design on Thursday 22nd March 2018. Emerald Automotive Design (EAD) and London Electric Vehicle Company (LEVC) are part of the Geely Group, with Volvo cars and Lotus among others. EAD has engineered the new London black taxi for LEVC, designing a brand-new vehicle using a bonded-aluminium structure and range-extended electric drivetrain. EAD specialises in the design, development and production of lightweight, low-emission and long-range advanced battery-electric vehicles. The company was established 8 years ago by a team of highly experienced professionals with a proven pedigree in light-weighting and electrification from the UK and international automotive industry. EAD is headquartered in Coventry, with facilities in Essex, USA, Sweden and China. On our stand, we will be showcasing how rFpro and Dymola can be used to support the development of ADAS (Advanced Driver Assistance Systems) and autonomous cars. Using rFpro to provide the virtual test environment we can support driver-in-the-loop and provide data feeds to the array of sensors (cameras, LiDAR, radar and ultrasound) all based off the same high-fidelity track model. We will be also showcasing our new VeSyMA suite of solutions that provides a platform for vehicle modelling enabling the physical behaviour and interactions of all the vehicle systems to be modelled including the engine, electric motors, battery, cooling systems, vehicle dynamics, air-conditioning systems, etc. Since 1999, we have been working with Dymola and Modelica on a wide variety of customer projects. These include the modelling of Low Carbon Vehicles, Formula 1, Formula E, IndyCar and NASCAR Sprint Cup racing cars, as well as working on projects with renowned International OEMs and Aerospace manufacturers. We would like to invite all the engineers at Emerald to attend this event where a number of MIA members will be showcasing their engineering capabilities. If you have any questions or would like to schedule a meeting with us during the event, please do not hesitate to contact us.